The city of Hat Yai makes fame more than the province where it belongs to. Beachgoers familiarized with Phuket is a sure thing. But for hideaway seekers whose holiday vacation does not always end up soaking in beach vibes, Hat Yai, located in the South of Thailand, is a place they don’t have to think twice about. Under the administration of Songkla province, find out the answers by yourself what make Hat Yai a more recognized town among international travelers and Thai local alike. Before discovering it in this Hat Yai travel blog, the strange thing about Hat Yai, which the name literally translated in Thai as Big Beach, is that none of its handful beaches beat the ones in Phuket and beach isn’t something to take into consideration which adding to the fact that western faces are rarely spotted throughout the town. 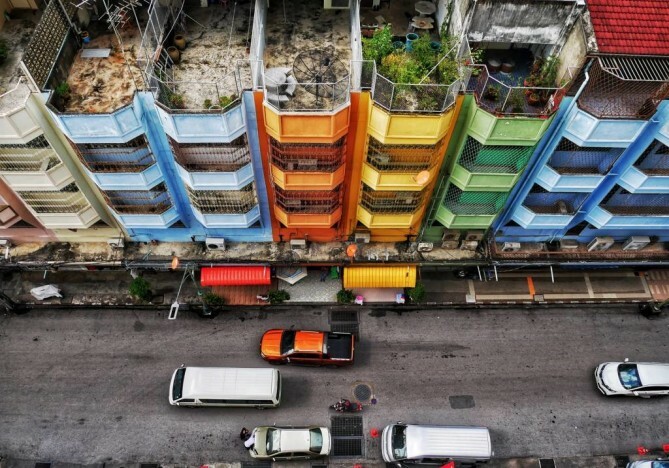 Hat Yai is a smaller version of a metropolis. It is so because of various ethnicity making up proportion for its population. Thai Chinese, ethnic Malays and Muslims have long been living under the same roof for ages. Not only do the people that is diverse, but the architectural style of houses are received much influence from colonial, traditional Chinese, Malay and Thai making the town a photogenic destination. Hat Yai is a pretty-pretty, quaint town that is special in impressing all its guests on its a handful of sights. 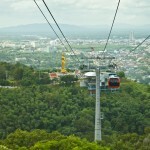 Places to visit in Hat Yai require tourists to travel not far from the city radius. As a commercial hub of the South near the Malaysian border, in favor among Malaysians and Singaporeans, things to do in Hat Yai can’t go beyond going on a shopping spree among its diverse shopping havens. 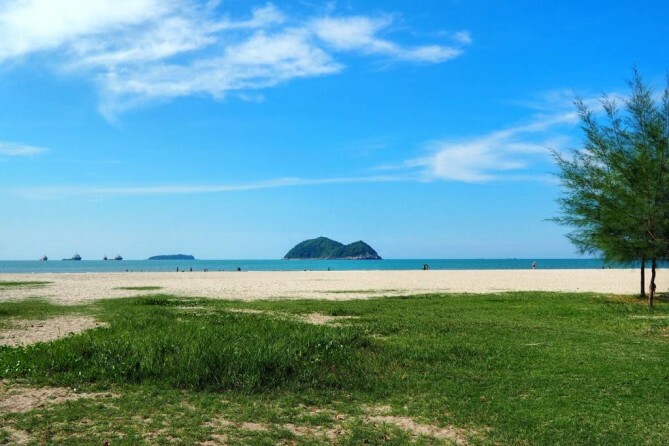 Hat Yai’s beaches can beat neither that of Phuket’s nor Samui’s. That being said, Hat Yai has got what it parallels to be its best bet. Samila Beach, the unofficial iconic landmark of Hat Yai, Songkla, is the most checked-in place once setting foot in this southern trade hub. Frequent visitors know that they’re not expecting for a picture-perfect beach vacation but rather dropping by for a visit at Samila’s longstanding icon. 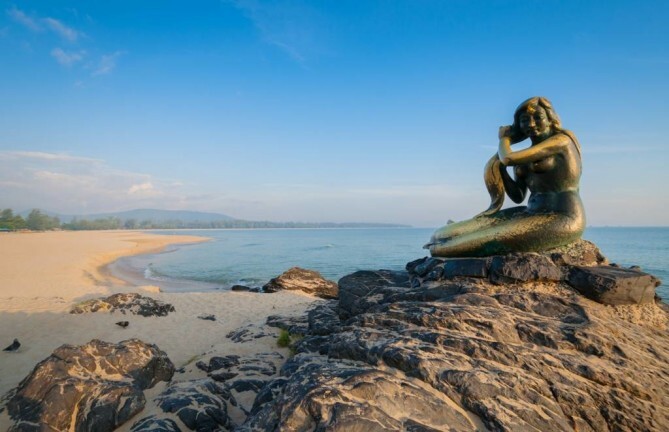 Having been alongside Samila Beach for over 50 years, Samila Mermaid Statue built in bronze sculpture is created based on a legend. Legend has it that on a starry night, a young fisherman spotted a mermaid who combed her hair with a golden comb. Frightened away by his appearance, a mermaid accidentally left her golden comb while a young fisherman awaited and kept the comb with himself to return to her, she never came back. Other than taking yourself a photo with the mermaid statue, the area around Samila Beach decked out like a leisure garden is a place for the evening unwind and to behold the famous Rat Island and Cat Island over there. Hat Yai’s shopping scene is unbreakable. 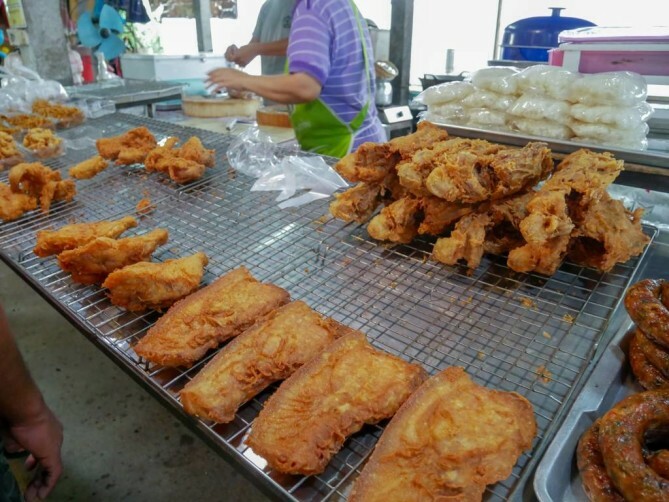 Kim Yong Market is an absolute paradigm of this and is one of the places to visit in Hat Yai. As early as 6 o’clock in the morning, outdoor hawker stalls with choices of fresh veggies, tropical fruits, dried seafood, fishes, butchered meat are put up for sale. The morning stalls session might differ from those in the afternoon, so wake up early if you want to catch up with this list. For the afternoon session, a list goes on clothes, handbags, shoes, accessories, embroideries, organic Thai soap, dried fruits which offered for sale indoor of Kim Yong Market. During the day, roasted chestnuts are freshly available from cooker. Imported snacks from Malaysia and Singapore are what Kim Yong Market is famous for, serving to the demand of not just foreign tourists but Thai local as well. The smell of fresh market, the sound of people haggling, the variety of items and the charm of food hunting are without question distinguished Kim Yong Market from the rest. This Hat Yai travel blog recommends that walking on a sun-drenched day could use up your energy unless carrying a bottled water to keep you hydrated. Hat Yai’s temple is not much talked-about. But when it comes to the scene of cultural sights, the city is second to none. 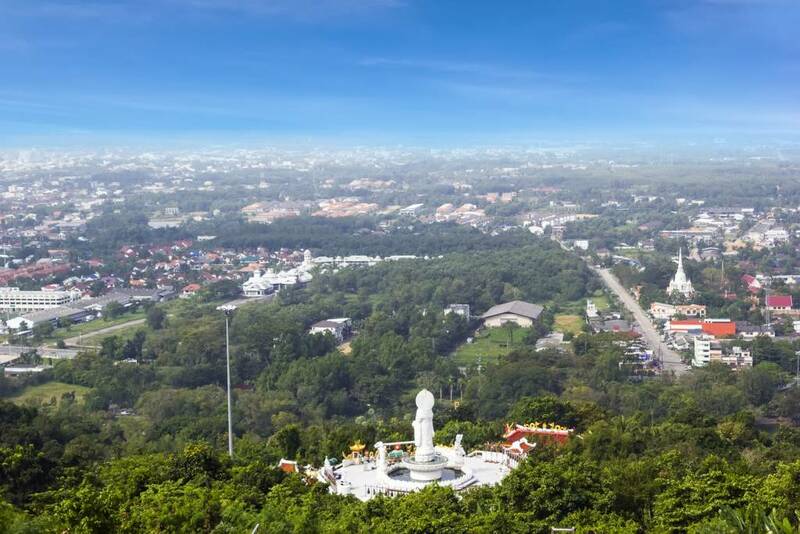 Stainless Steel Pagoda is the only one of its kind with its title as the World’s first ever stainless steel pagoda sitting at the hilltop of Kor Hong. 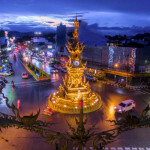 As this Hat Yai travel blog implied earlier, places to visit in Hat Yai require traveling only within the city radius. And this time, all philanthropists are needed for only a 20-minute drive from Kim Yong Market. 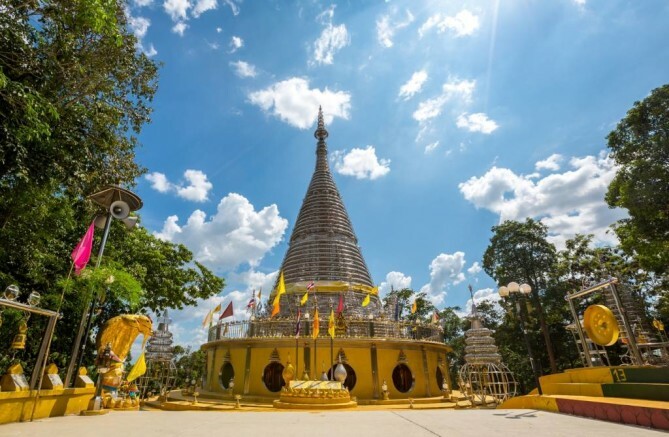 After arriving at the hilltop, appreciating the eye-catching pagoda is a sure thing, but another thing that’s expecting is its viewing spot enabling a sight of the city’s flat terrain. Pondering toward its beauty and uniqueness, every corner of Stainless Steel Pagoda is an art, bringing great shots for photography enthusiasts. The Stainless Steel Pagoda is official known as ‘Chedi Traiphop Traimongkhon’ built in devotion to the 60th anniversary celebration of King Bhumibol Adulyadej’s accession to the throne. 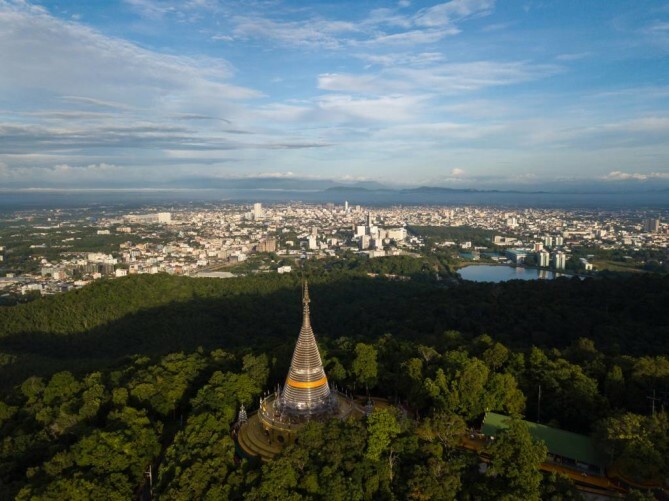 The peacefulness that every vacation seeker needs is not privileged only to beaches in Hat Yai, but its Hat Yai Municipal Park hiding three gems inside is the place to be and surely bring things to do in Hat Yai. Of course, its public park embraces the tranquility and relaxed atmosphere just like everywhere else where every park has no problem providing in. 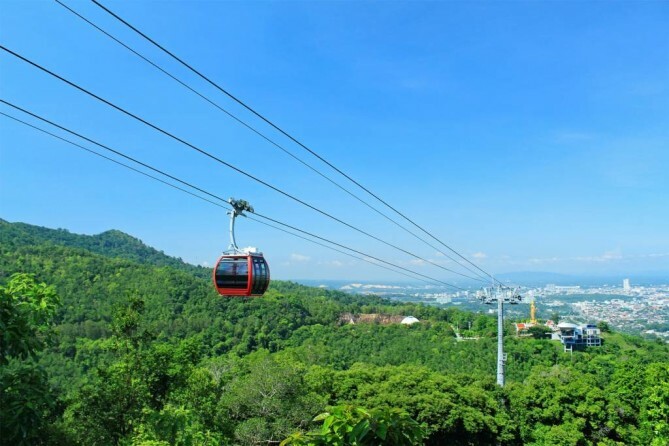 Other than taking a stroll around the park, taking Hat Yai cable car, the first ever Cable Car in Thailand up to the hilltop reaffirms that you have really visited Hat Yai ( Two stations currently: Phra Buddha Mongkol Maharaj & Thao Maha Phrom). Moving to the last hidden gem of Hat Yai Municipal Park where the temperature is at minus 15 Celsius (-15°C). 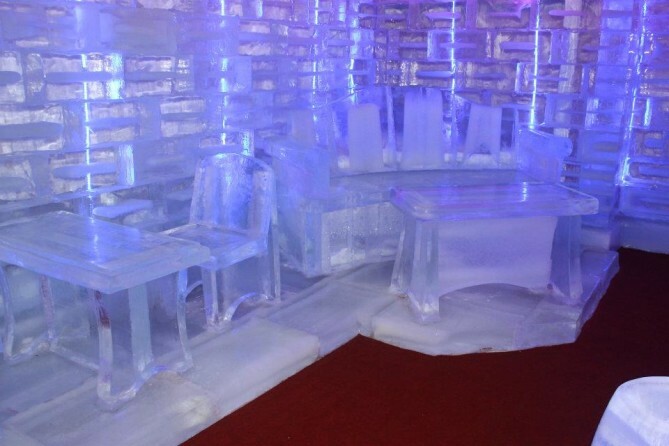 Ice Dome created by high-skilled sculptors from Harbin City in China warrants creative and spectacular ice shapes such as the Great Wall of China, Mount Rushmore, Mount Fuji, Colosseum, Sphinx. Colorful light display forming different themes of each sculpture make the Ice Dome a place for children’s room and for those kids at heart! Whichever part of the country you’re visiting, the glamor of Thainess penetrates through everywhere you go from northernmost to the southern tip. Floating Market is another traditional trading practice that’s long been in Siamese life cycle. For places to visit in Hat Yai, don’t miss out on this with the one and only Khlong Hae Floating Market in southern Thailand. It’s an enjoyable afternoon out of the city where goods and food are sold from boats where water transport plays a key role in their daily lives long ago, even up until today for some. Open only from Fridays to Sundays, Khlong Hae Floating Market is only 5 kilometers in distance from Hat Yai town. 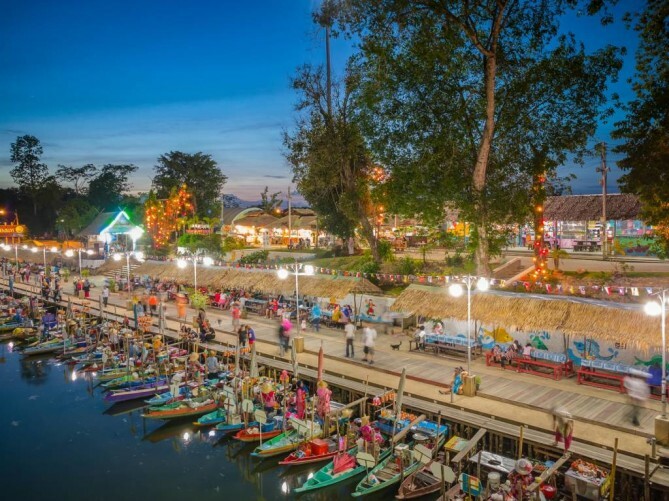 As it runs in parallel along the U-Tapao Canel, the floating market is famous for making good use of eco-friendly food containers such as earthen pot, coconut shell, bamboo tube instead of plastic containers or foam tray. For those who are browsing for food options, rest assured a line of nearly 50 boat vendors that moored to a walkway and many more which set in large-roofed stores. 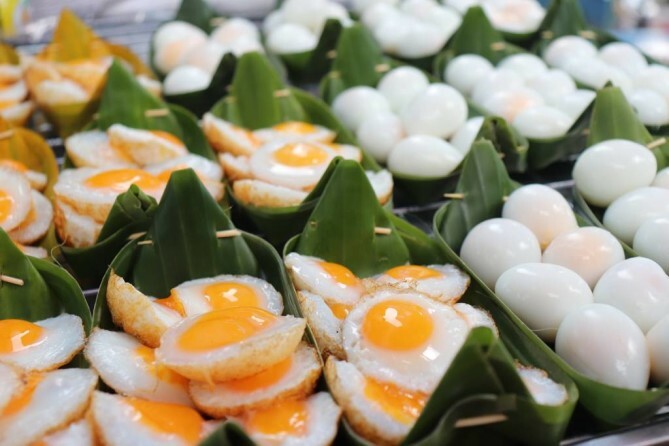 After filled your empty stomach at Khlong Hae Floating Market and thought you couldn’t make it through 100 THB left in your pocket, but you want to get your hands on something back home. 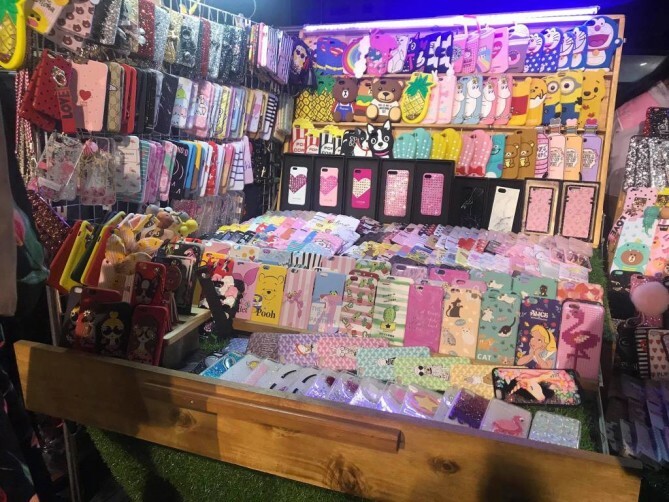 Then Greenway Night Market is one of places to visit in Hat Yai where first-hand and second-hand shops support the flow of your financial crisis. Only a five minutes’ drive from the floating market, local and foreign travelers alike find it a smaller version of Train Night Market in Bangkok. 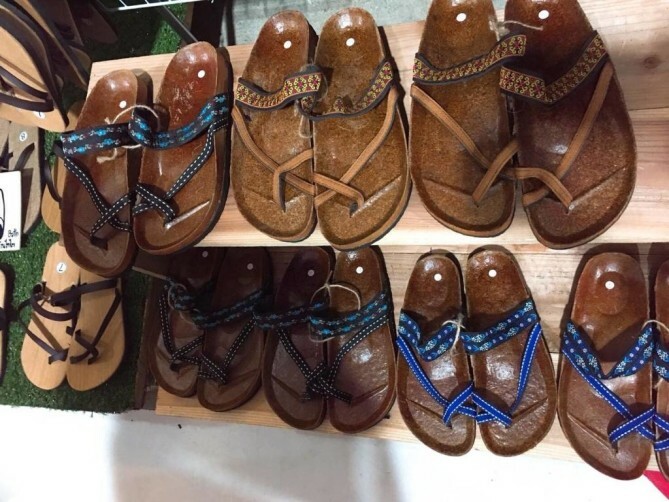 It is so due to the categories of items that put up for sale from small utilities, fashion, accessories, shoes, handbags to food corner and chic items. Know where to start is a plus since Greenway Night Market is designed into three zones in line with each shopper’s preference: First-hand shops zone, Plaza zone (second-hand shops) and Food zone. 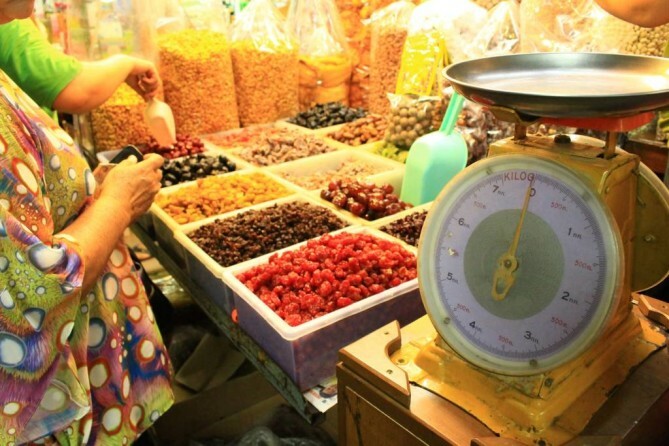 Street vendors begin to set up stalls since 05.00 p.m. so come early and enjoy your shopping spree until 9.00 p.m. The market is open only from Wednesday – Sunday. Book your flight to Hat Yai today! Visit http://www.bangkokair.com/eng/flightdeals/view/hat-yai-phuket to check flight availability. Phuket Travel Blog | Vacation Getaway at Thailand's Largest Island!